Hi, I’m Neeraj Shah. I have been an entrepreneur for more than 2 decades. I am also a mentor, speaker, writer and angel investor. I’m former National Director for BNI India. I’m a contributing author to the #1 Wall Street Journal Bestseller – Masters of Success. For over a decade I have been working with thousands of entrepreneurs and professionals grow their business. I really do consider small business owners to be the true heroes of every economy. They are the back bone of economic progress. My mission is to help motivated business people win at business and succeed at life. My vision is to help 1 million entrepreneurs become millionaires and create over 10 million jobs for our economy. To that end, I write on entrepreneurship, business networking, productivity, personal development and a new area which I recently got involved with, which is angel investing and start-ups. On occasion, I write about stuff that may not neatly fit into one of these categories. You can find out more on my Start Here page. I also have monthly webinars and entrepreneur interviews. We cover similar topics as those on the blog. You can watch it on video or listen to it on audio. I like to share best practice and learn the same from other entrepreneurs. I do believe that other people’s experience is as valuable as other people’s money! My goal is to create practical, relevant content that you can immediately put to work in your business and personal life. If you consider yourself an achiever—someone who wants more out of life—then this blog is for you. I typically post once a week, occasionally more. To make sure you don’t miss my newest posts, you can subscribe via e-mail. It’s quick, easy, and you can unsubscribe at any time. I am the former National Director of BNI India, the largest business referral organisation in India. 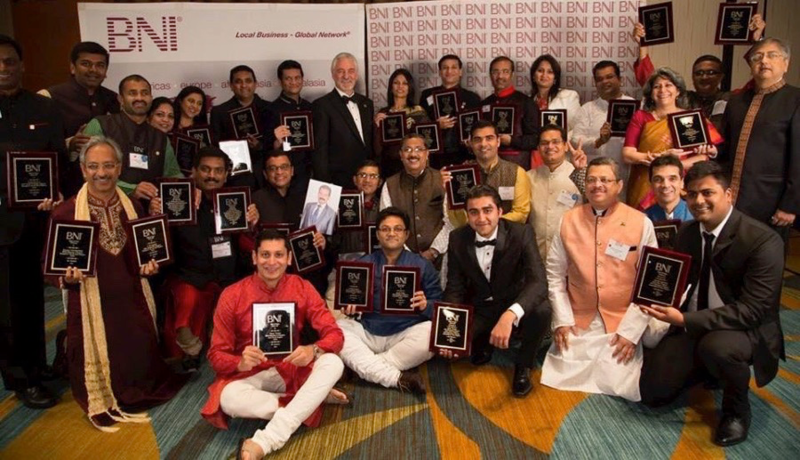 I started BNI in India in November 2004 and grew it from scratch to 10,000 members across 21 cities across India. In 2015 we helped generate over Rs. 3,000 crores (US$450 Million). I was born in Kenya to an entrepreneurial Gujarati family and at the age of 12 moved to London where I spent my formative years. I studied Economics at Bath University and returned to Kenya in 1994 to join our family business. My family had successful commodities and plastics packaging businesses. I had an opportunity to grow them over 8 years and learnt everything from sales, marketing, exports, imports, ERP implementation, managing a team of 250 staff and setting up a state of the art flour milling operation which produced 150 tons per day. In 2003, the BNI India opportunity presented itself and I flew to India with a one way ticket to start it, knowing just one person. My passion to help people, together with innovations I implemented produced spectacular results. Over the next 11 years we grew massively and earned global recognition as the fastest growing BNI Master franchise in the world. We earned dozens of awards every year for outstanding performance on every parameter. Since 2016, I started my own company, Titan Masterminds. I have been married to my wife, Twiinkle, for nine years. We have one young and energetic son who keeps us on our toes. We live in the vibrant suburb of Santacruz (W) in Mumbai, India. In my free time, I enjoy reading, cooking, travelling and playing the guitar. Please note: I do not personally look at angel investment proposals. I work with proposals that are vetted by an angel network that I’m actively involved in.